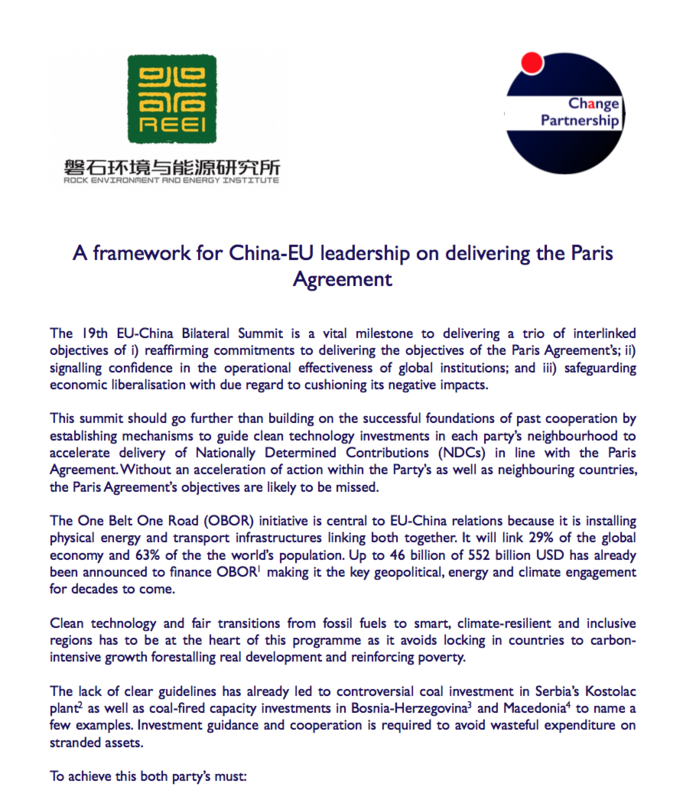 Change Partnership, and the Rock Environment & Energy Institute submitted a six point plan on the 19th EU-China Bilateral Summit scheduled for 2 June in Brussles. 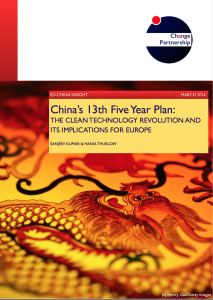 Change Partnership and Rock Environment & Energy Institute analysed the China’s 13th Five Year Plan, the most comprehensive programme to shift China away from fossil fuels and boosting clean technology innovation. This will make decarbonisation that much cheaper for everyone boosting the opportunity to shift away from fossil fuels. Alongside the emphasis on innovation, markets and economic restructuring, much more attention has been paid on environmental governance and accountability through the Environmental Protection Law. 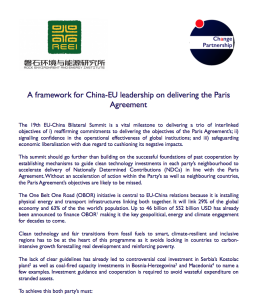 How Europe responds to China’s increasing dominance in the clean technology sphere is of paramount importance. We outline a five point plan for bilateral engagement which facilitates mutual benefits as both stride towards sustainable development.